Metric modulation is a change in tempo or pulse based on a relative note value or subdivision. My previous modulation posts on this site have used different triplet and quintuplet values to create the perception of tempo changes. 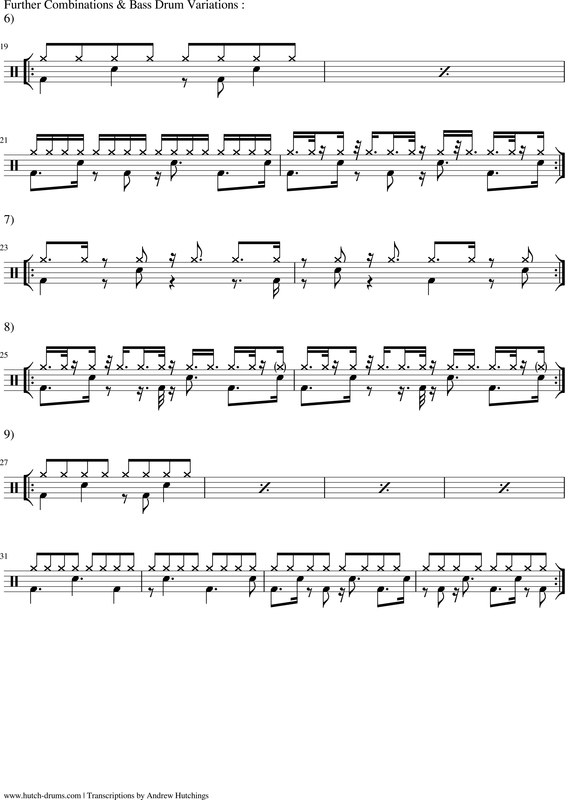 These groove exercises use dotted note values to stretch or contract the backbeat to create a tempo change without adjusting your inner clock. 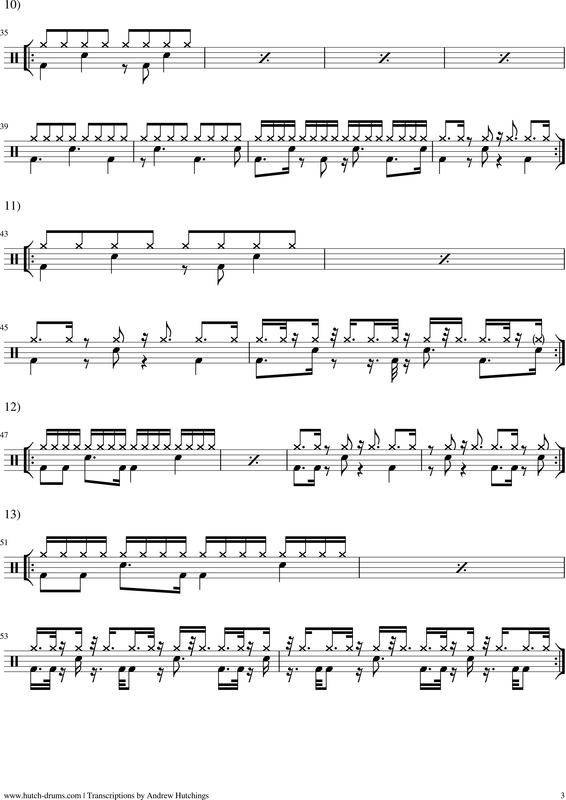 In this video with HUTCH + REHAN, I shifted the backbeat across the dotted crotchet [1:30] before shifting gears again with two more bars of the kick and snare across the dotted eighth note, in unison with the synth accents, to set up the next section. 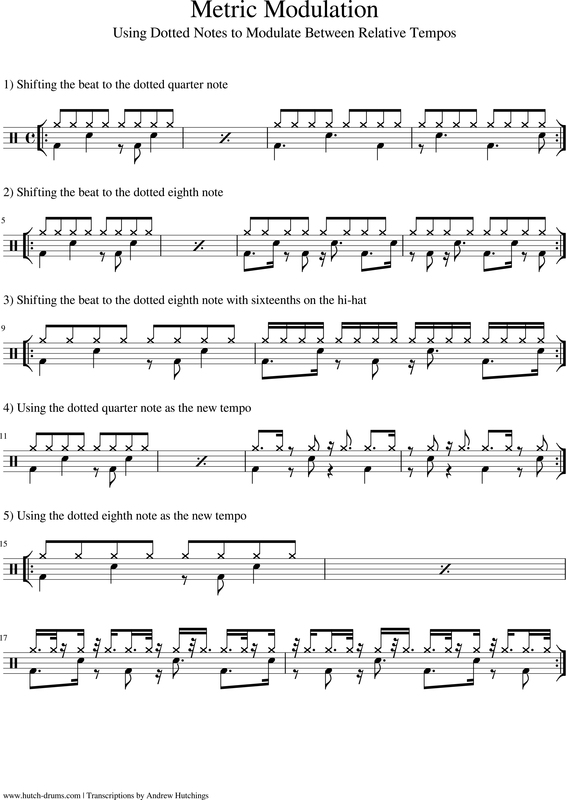 In this instance, the hi hat or right hand maintains the eighth notes and the left foot maintains the original beat 2 and 4 while only the kick and snare shifts the gears.